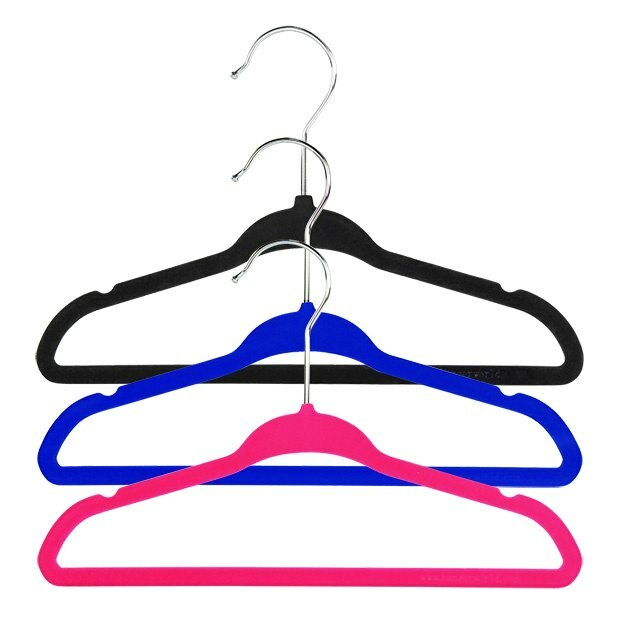 Quality kids flocked coat hangers with trouser bar. Strong metal 360° swivel hook. Ideal size for infant & toddler clothes. For a tidy, organised & colourful wardrobe! Size: Width 29cm (11.8") approx.